Can you explain how 3D scanning is being used in manufacturing today and the benefits of the technology? A common use of 3D scanning in the manufacturing process is to check the quality of the goods being produced. This is how Willman Industries Inc., a Wisconsin-based full-service jobbing foundry offering design, pattern making, heat-treating and machining, is utilizing 3D scanning. Williams Industries uses an Artec Eva handheld scanner to measure and check the castings it produces, which can weigh up to 30,000 pounds. 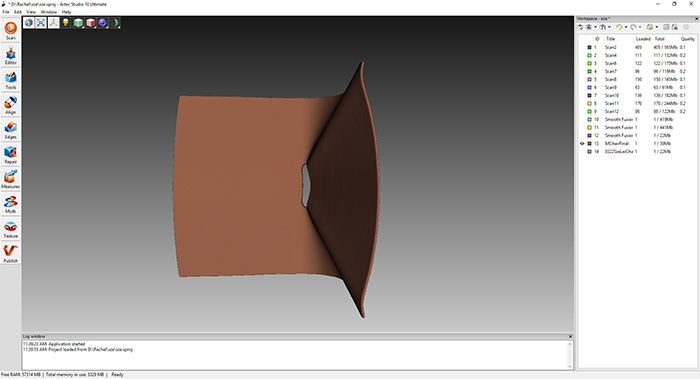 Once created, a casting is digitized and compared to its original CAD file. This has proved a very quick way to make sure that castings are meeting specifications. Williams Industries claims that historically casting jobs could take 10 days to produce, however, by using a handheld scanner that time has been decreased to six to 10 hours. Additionally, it has also helped the company’s production methods, for example, the technology has been used to find errors in areas of castings that can be traced back to uneven cooling. 3D scanning is a very helpful tool in the quality control stage of any kind of manufacturing. This is especially true when you are dealing with large products, such as ships or planes. Due to their size, quite significant errors build up when all the parts are put together, varying by several meters, and so the only effective way of finding out the size and shape of the final product is to 3D scan it. It’s not only the quality of the final product that can be verified by 3D scanning, but also the supplies of parts that go into the product, not to mention the condition of the manufacturing equipment itself – molds, ceramic insulation of furnaces, to name a few. Would this technology be appropriate for a production line application? Normally production lines use stationary scanners, but handheld scanners are used to reach areas that stationary scanners cannot see. Our new and upcoming products will be of great use for this. Our Artec Leo, which was unveiled this year, is a 3D scanner which can capture at 80 FPS. The speed at which a scanner captures data is crucial for a production line application, and at 80 FPS, Leo is top of the range. Soon we will be releasing an automatic scanning system featuring Leo mounted on a robotic arm, which will be able to reach inside objects. This would be useful to scan a car interior, inside of an airplane, or any other large cavity. Furthermore, a handheld scanner always has the advantage against a stationary scanner, as it is quick to set up and allows you to scan on the go. Can you run us through a typical real world application of the technology? In addition to the Williams Industries applications, 3D scanning is also used for tooling. The form used to make tools starts to wear out after time. A 3D scanner is used to regularly check the condition of the form against the 3D model or CAD file of the form. It is the fastest, most accurate way to check that the form is still suitable for use and producing tools that haven’t become misshapen. The form is very expensive to make, so much so that the cost of making the mold is pretty much the cost of making the tool. Using 3D scanning to get as much use out of the mold as possible, while ensuring accuracy, helps create a better return on investment. Is it a costly process to implement the technology in an existing plant? Over the last few years we have been working hard to make our hardware and software more intuitive and add more and more automated features. We’ve reached the stage where, using the autopilot features of our software and scanners, any engineer can start making high precision 3D models on day one. So, there is no need to spend a lot of time on training anymore, you just need the initial investment of the hardware and software. Our scanners for manufacturing solutions are in the $20-25,000 price range. If you are after a robotic solution, that is around $70-100,000 for one post. We can also offer customized solutions, and the price of this depends on how complex the task is. What differentiates Artec 3D scanners from other scanners that can be used in the manufacturing industry? Artec 3D scanners can scan accurately without needing to cover the object with sticky targets. This is because they use both the color and geometric data of the object to track the positioning. Other scanners either do not work so accurately in this hybrid mode, or are only able to capture geometric data. Artec 3D scanners also incorporate AI technology. Starting from the automated features in our software, and now with Leo, with the embedded NVIDIA AI supercomputer, it will soon be possible for the 3D scanner to make more complex decisions autonomously. For instance, in the future, the Artec Leo could be used for inspecting the quality of car seats and be able to judge by itself which seams are sufficiently straight and which do not meet the standards. Even though the requirements here are not set by clearly defined parameters, this future technology will be able to in a sense “judged by eye” and determine if it is acceptable. How do you see 3D technology developing in the future as it relates to the manufacturing industry? Additive manufacturing is the future. At the moment, it is only small parts that are being made in this way, but in the future, it will be large parts too. Eventually, 3D scanners and 3D printers are likely to become one solution, similar to how 2D scanners have now been integrated into 2D printers. Additive manufacturing will be much faster and much cheaper than molding. Plus, it will allow for the manufacturing of objects that traditional manufacturing can’t produce, such as a ball inside a ball. What other industries will be most impacted by 3D scanning outside of manufacturing? 3D scanning is used by a diverse array of industries including historical preservation, special effects for movies and video games, healthcare, art and design, and more. One particularly interesting area that is developing is virtual and augmented reality. This could be for entertainment, for businesses that want to create virtual show rooms and even training applications. At the moment, applications such as training, are only used in the most high-tech scenarios. NASA is one of the early adopters of this strategy, with the creation of their Hybrid Reality Lab. This lab combines consumer virtual reality technology and tracked 3D objects (locating an object in 3D space using object tracking technology) to create an immersive experience through realistic visuals and tactile feedback. Artec’s Space Spider structured light scanner has been used to produce highly realistic textured models for this virtual environment. Without using an Artec scanner, NASA would have to painstakingly model individual tools from physical measurements or photos. After the initial investment into the technology, virtual reality will provide a much cheaper way to provide training for a variety of jobs. This training method is expected to continue to grow in terms of popularity and adoption. Andrei Vakulenko is the Chief Business Development Officer at Artec 3D. 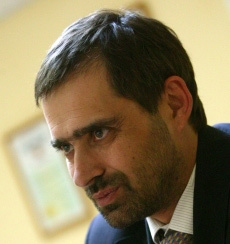 Prior to this role, Andrei was the company’s Vice President of New Markets. Andrei has over 13 years’ experience as partner, CEO and co-founder of high tech venture businesses from seed investments and incubators to venture funds management. Projects focused on IT and Internet business including SaaS, mobile, e-commerce, community building, recreation and travel, biometrics and pattern recognition, e-passports and machine readable travel documents; as well as, optoelectronics and gas to liquid technology.